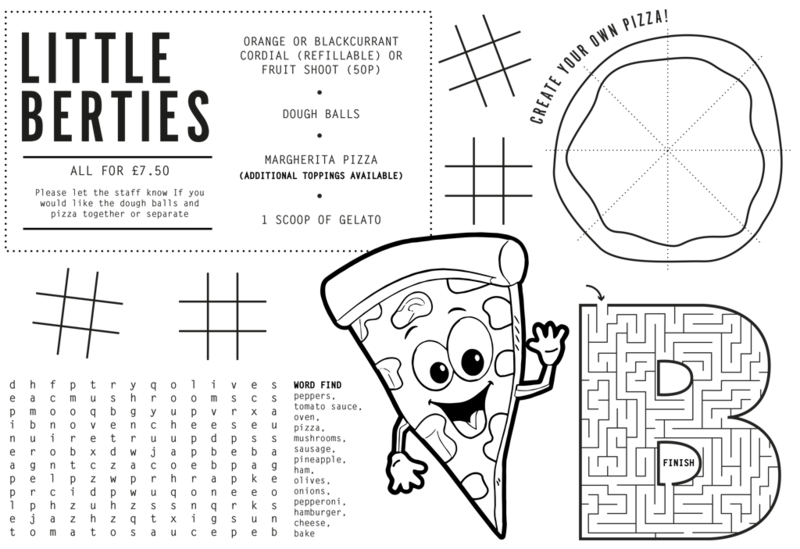 Bert's Pizzeria Menu page. Download the options here. Planning a visit with the family? 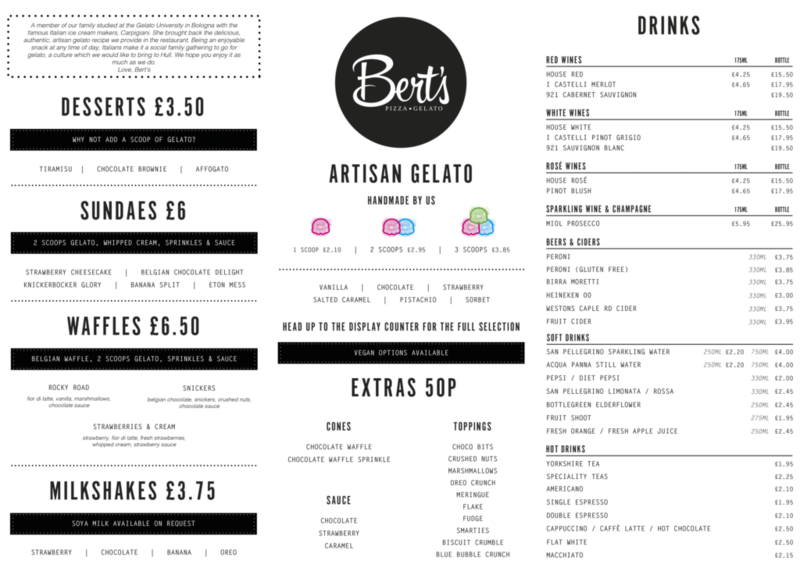 Take a look at our new Children’s Menu below! If you have any specific dietary requirements please just ask one of our staff – vegetarian options are denoted with a ‘V’ in our menu, and gluten free and vegan options are available for many of our dishes. We also make our own homemade gluten free dough. Click here to find out more about our fantastic Valentine’s Day special offer! 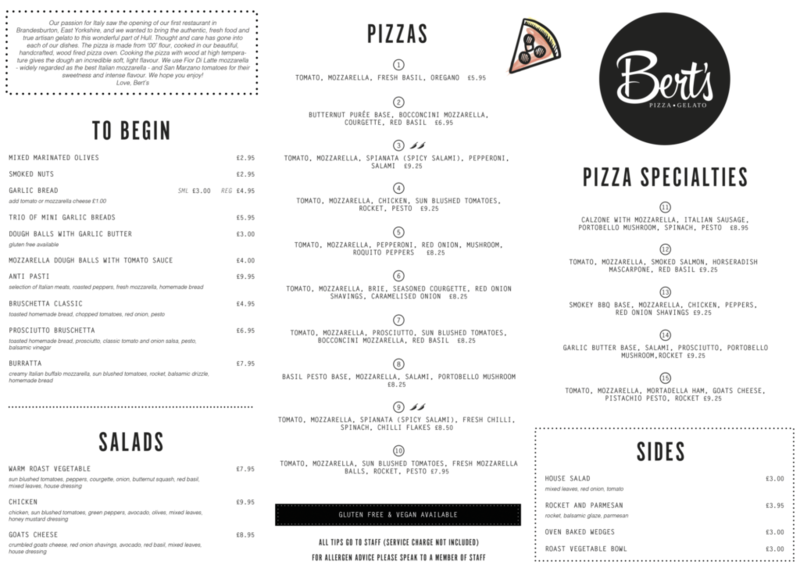 To download our menus please use the buttons at the bottom of this page.